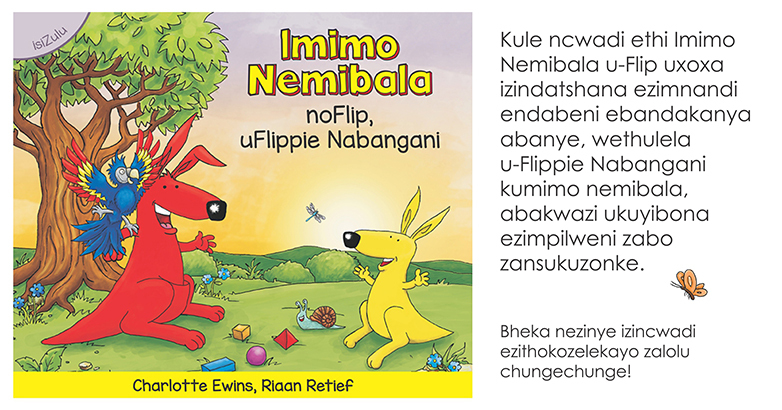 We have developed these ‘Flippie, Flippie and Friends’ Calendars for 2018 in South African languages as part of our mother tongue learning drive. It has been an interesting project. There are no established abbreviations that we could call upon as an absolute reference for when it came to Monday through to Sunday. To this end we worked using the advice and assistance of our language practitioners and created a key for reference in the respective languages. 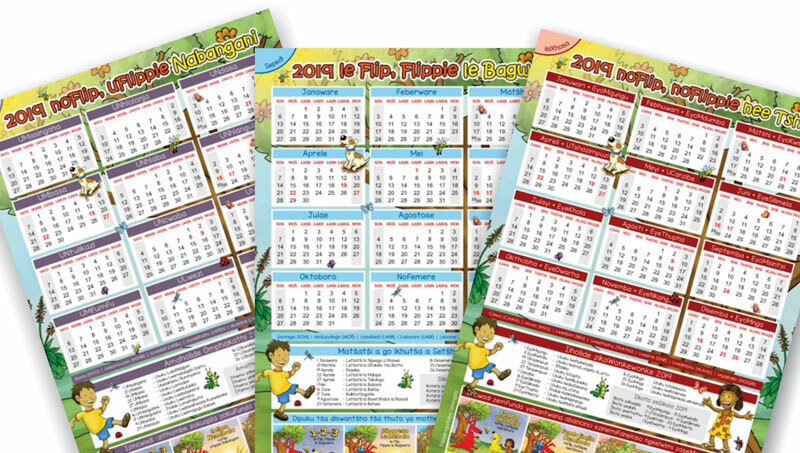 These calendars are easily and freely available on the ‘Flip, Flippie and Friends’ website and have been created in the spirit of the series – fun, colourful and educational. 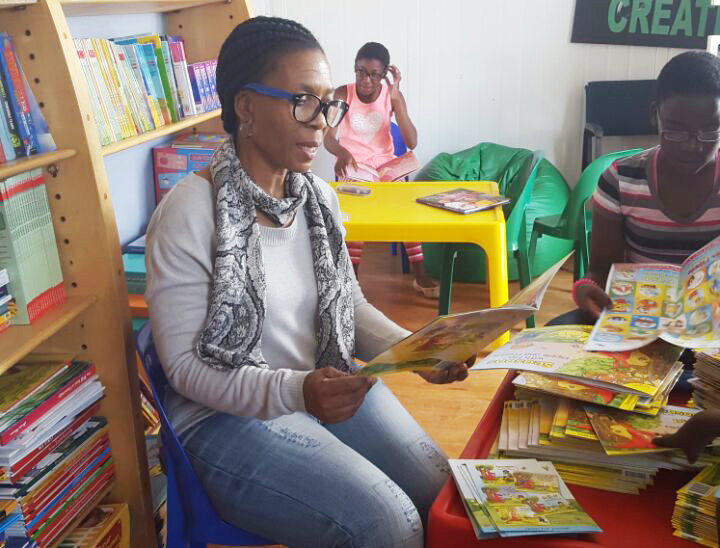 The idea and hope is that parents, librarians and educators print them out and enjoy them, using them as another avenue to promote mother tongue learning at home and in the classroom. 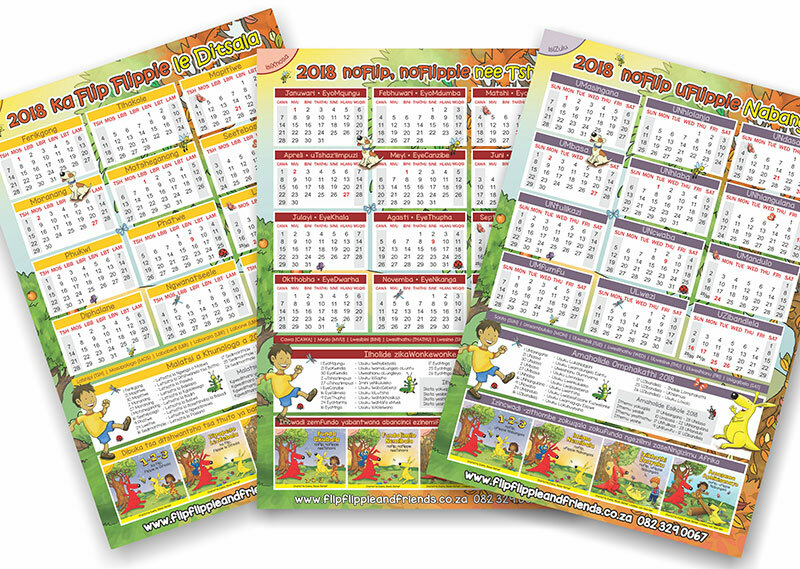 They have been designed to be printed at any size, up to A2 in full colour and quality. They can also be printed out and enjoyed in black and white without losing any of the learning components. We are hoping that these calendars will be a valuable resource and, if they are, we shall continue to produce them on an annual basis. If you click on this link it will take you directly to the page where you can download them. In the interest of mother tongue learning, please promote it and share.